Weight/Height: I definitely feel like he has put a lot of weight on recently. My guess is 18lbs. He was 25 in. 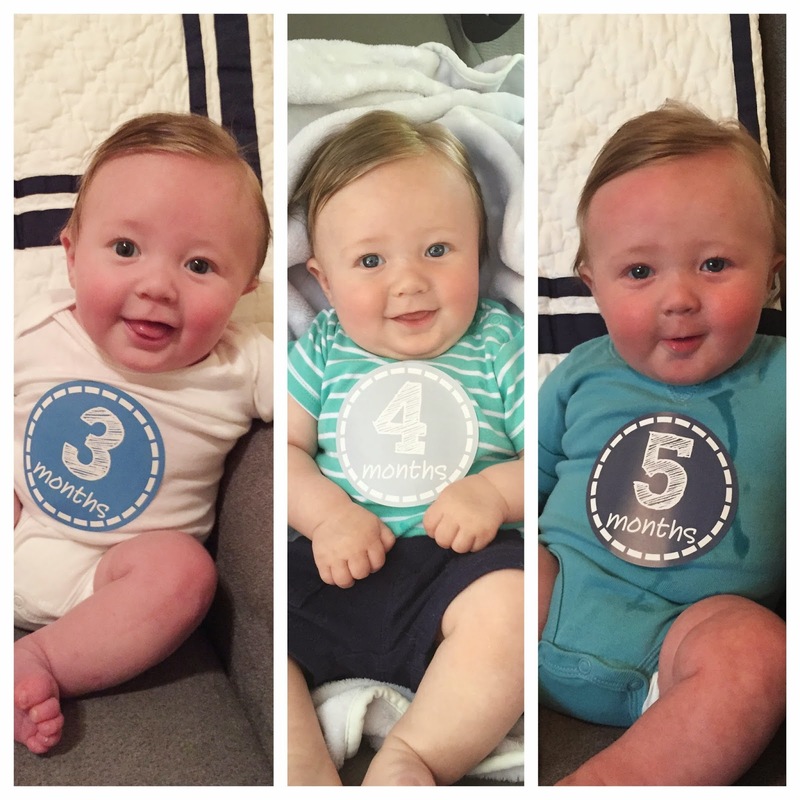 at his 4 month appointment and I think he's still probably around that length. Hair: Oh Lord...his hair is something else right now! It's getting sooo long on the sides but it's almost completely gone in the back. He desperately needs a hair cut to even up the hair around his ears so we'll probably do that soon. I'm hoping once he is sitting up consistently that it will grow back in. Eating: Bennett eats five 7 oz bottles a day. 7:00am, 10:30am, 1:30pm, 4:30pm, and 7:00pm. He eats a jar of baby food at 8:30am. I am going to start giving him more baby food this summer once I am home with him. Milestones: Bennett is rolling over from front to back and back to front like crazy! He loves rolling around everywhere. He can also sit up unassisted for about 15-20 seconds. He loves trying to do it and laughs when he falls over. Baby items we can't live without: We have used our stroller (Britax B-Agile) a TON this month. 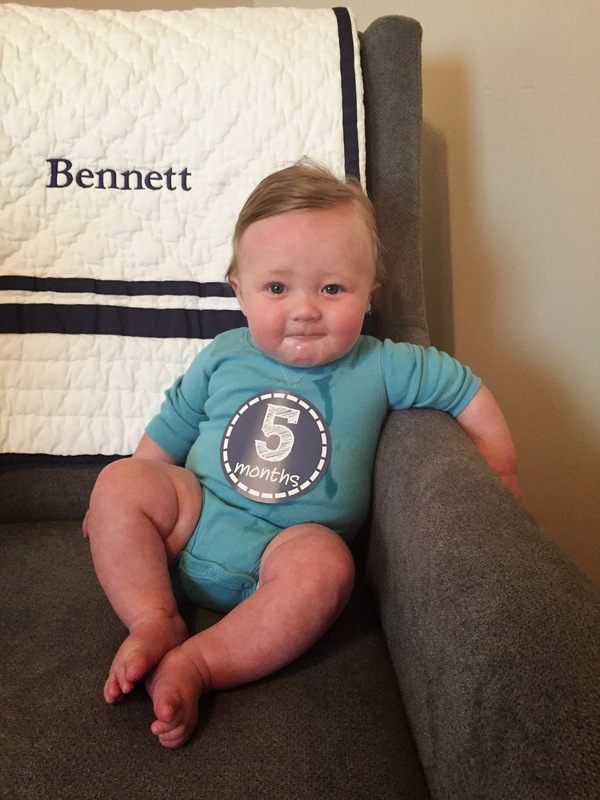 Bennett is getting big enough to sit in the big part and not the infant carrier and loves it! We are still loving the Mama Roo but the real winner this month has been our Fisher Price Jumperoo (similar one HERE). I forgot we even had this until I saw it in the box in the back of Bennett's closet. I'm so glad I realized we had it because he loves it!